The training courses are designed to educate facility managers, technical personnel, and newly appointed HSE staff on existing and new health, safety, and environmental compliance strategies and best practices. Presentation sessions are offered on more than 10 topic tracks and range from introductory content to advanced topics, applications, and case studies. The 2019 conference will be held at the Hilton Austin from February 6th-8th 2019. Register now! You can come back and edit your registration at any time. Need to book your hotel reservation? Book your hotel reservation now to make sure you get the discounted conference rate of $279 per night. What took place last year? See everything that happened at the 2018 conference. Early-bird pricing is available until November 15! Act now, and register for the full conference for $1,250! 4C HSE 2019 offers two registration pricing options. One for industry affiliated attendees, and one for non-industry affiliated attendees. 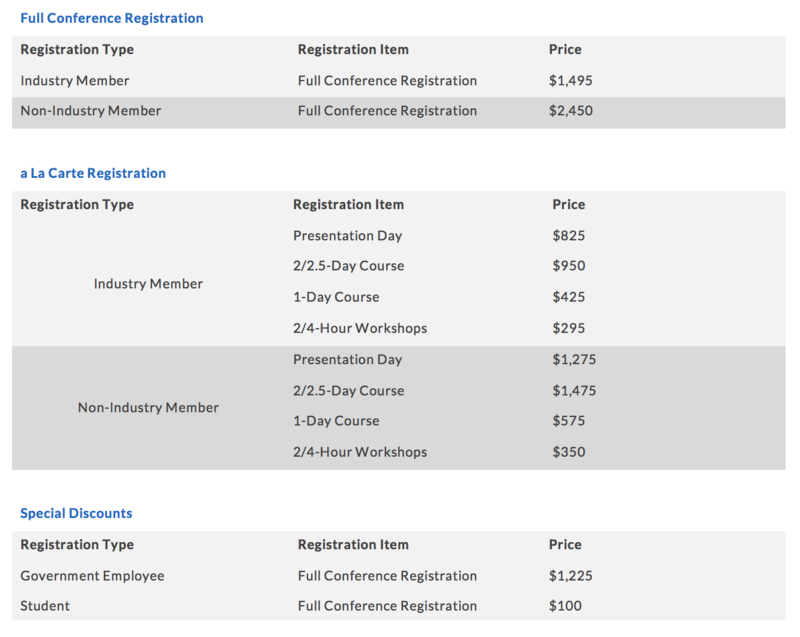 In order to encourage industry attendance, we’re happy to offer industry affiliated registrants a reduced registration price. Industry Members: Employees at production facilities and industry end-users. In 2019 we’re offering attendees even more flexibility when it comes to attending the conference. You can take advantage of everything 4C HSE has to offer for a flat rate, or you can choose what goes into your 4C experience from our a La Carte registration offerings and build your agenda to fit your schedule and budget. Note: a La Carte registration includes a $150 service fee. Hotel reservations may be made before or after you’ve registered for the conference. 4C has negotiated a special rate of $279 per night for 4C attendees, so book your reservation as soon as possible to ensure you lock in the discounted price. Reserve your hotel online by visiting the 4C Hotel Registration portal. You may also access the reservation portal using the link included in your conference registration confirmation email. – If calling the hotel directly to make your reservation, mention you’re with the 4C Conference, and you will receive the discounted room rate. We’re happy to offer government employees and students discounted registration. Please contact us at info@4cmarketplace.com to receive a discount code.